Tradinforme Abogados S.L.P. As a professional firm, it acts in legal claims and legal, economic, accounting, financial and real estate advice, both to individuals and legal entities, of a public or private nature. The recovery of the credit could not be considered finished without exhausting each and every one of the measures that the creditor has at his disposal. There is no doubt that the most accurate and forceful can be, in some cases, judicial action. 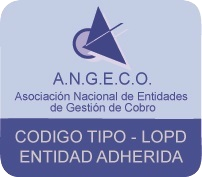 From this intention Tradinforme Abogados SLP, and its team of professionals with great experience, and relying on a structure as accredited as that of Tradinforme SL itself, develops its judicial recovery activity immersed in the same philosophy that presides over the performance of the business group from which is part That is, not increase the cost of the client exhausting the recovery paths of their unpaid loans. In addition, the long experience of the professionals that make up Tradinforme Abogados S.L.P., makes us feel safe when offering a full service of legal advice whose horizon goes beyond the simple judicial claim of credits. Our structure allows us to offer comprehensive services of mercantile, corporate, civil and labor consultancies that, we understand are within the legal needs of any company. Our spirit is not presided over by making your activity more expensive, but, on the contrary, helping you to prevent your risks (preventive counseling) and recovering your claims (judicial claim). From these perspectives, we understand that we can offer a practical and dynamic service that, we have no doubt, will always be presided over by a perfect relationship.